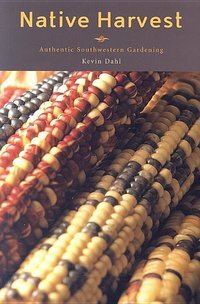 This handy cookbook is an enjoyable and informative guide to the rich culinary traditions of the American Indians of the Southwest. 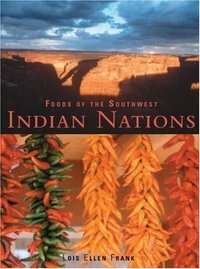 Featured are 150 authentic fruit, grain, and vegetable recipes—foods that have been prepared by generations of Apaches, Zunis, Navajos, Havasupais, Yavapais, Pimas, and Pueblos. These tasty, unique dishes include mesquite pudding, Navajo blue bread, hominy, cherry corn bread, and yucca hash. 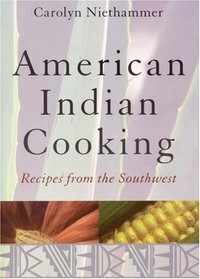 American Indian Cooking also boasts wonderfully detailed illustrations of dozens of edible wild plants and essential information on their history, use, and importance. Many of these plants can be obtained by mail; a list of mail-order sources in the back of the book allows everyone to sample and savor these distinctive, natural recipes. To the Native Americans of the Southwest, every food, whether plant or animal, is considered sacred. In this gloriously photographed book, renowned photographer, Native American food expert, and chef Lois Ellen Frank, herself part Kiowa, presents more than 100 recipes that are rich in natural flavors and in tune with today's healthy eating habits. With the help of culinary advisor Walter whiewater, a member of the Navajo Nation from Pinon, Arizona, and a contemporary Native American chef in Santa Fe, Frank has adapted the traditional recipes to modern palates and kitchens. Inside you'll find such dishes as Lamb-Stuffed Chiles, Spicy Corn Soup, Indian Tacos, Fried Squash Blossoms, Zuni Sunflower Cakes, and Prickly Pear Ice. Abundant harvests in the arid Southwest. It's easier than it looks when you use native varieties accustomed to the drought and heat. This book is the best first step to your own authentic southwestern garden. Features step-by-step instructions for plants such as corn, beans, squash, and many other beautiful and delicious food plants.